Just an overnight stay here. Our Check In was friendly and quick, the room was clean. A little hall noise around 11pm but did not last too long. Lots of choices for breakfast. Staff ensured food was well stocked for the patrons. Funky 70's vibe. Very Clean with interesting grand staircase in foyer. Most hotels today are a multi level shoebox with elevator, this place has nice large public spaces. I would stay there again. The staff were very friendly and helpful, from the front desk, through the housekeeping to the restaurant staff (for both dinner and breakfast). The room was clean, new and surprisingly spacious and the pool was a pleasure to swim in at the end of a long work day. All around an A+ experience! Close to restaurants and White Oaks Mall (walking distance). Plenty of restaurants, services and stores including White Oaks Mall, as well as quick access to Highway 401. Located at the south end of London, there are decent eating and shopping options within a short drive, including White Oaks Mall. Near White Oaks Mall and on direct route downtown. There's a great sushi restaurant next door and the White Oaks Mall is just across the road. Also nice to have the White Oaks Mall across the street. White Oaks Mall is located in a welcoming area of London known for its picturesque gardens and array of dining options. London is home to 50 hotels and other accommodations, so you can find something that's perfect for your stay. 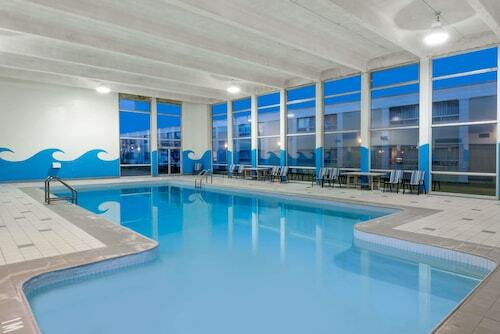 Motel 6 London: This 2-star hotel features an indoor pool, free WiFi, and free parking. Our customers like its dining options and breakfast. 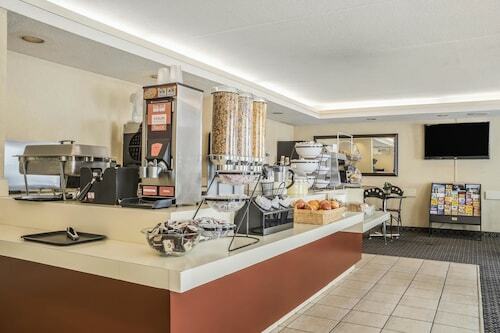 Quality Suites: This 2.5-star hotel features free breakfast, free WiFi, and free parking. It's a favorite with Expedia travelers for its overall value and central location. 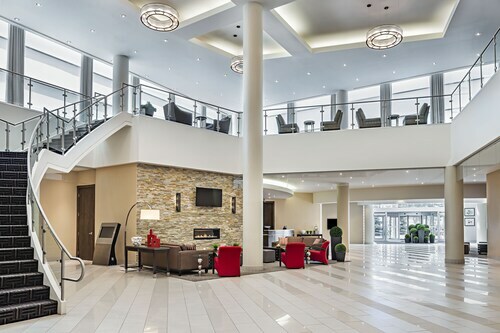 Ramada by Wyndham London: This 3-star hotel features a restaurant, an indoor pool, and free WiFi. Our customers like its overall value and comfortable, quiet rooms. Now that you've visited White Oaks Mall, you can explore the sights and attractions within just a few miles of the area. Museum London, London Regional Children's Museum, and Banting House feature a variety of fascinating exhibits to see while you're in town. You can catch a show at London Music Hall, Grand Theatre, and Centennial Hall. You might spend a leisurely day outdoors at Victoria Park and Harris Park. Budweiser Gardens, Covent Garden Market, and Earl Nichols Arena are a few additional nearby sights. You might also stop by University of Western Ontario, located 5.9 mi (9.5 km) from White Oaks Mall, or Boler Mountain Ski Resort which is 5.8 mi (9.4 km) away.